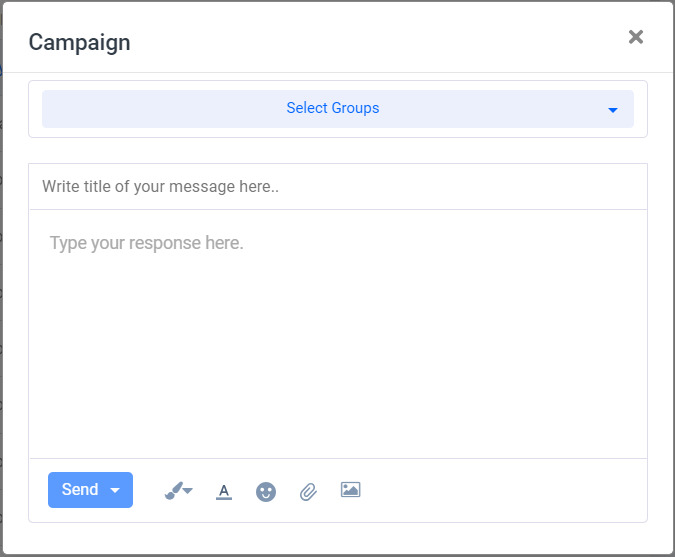 Message group section is usually helps you to send a particular message to a particular audience. It falls under Profile section. 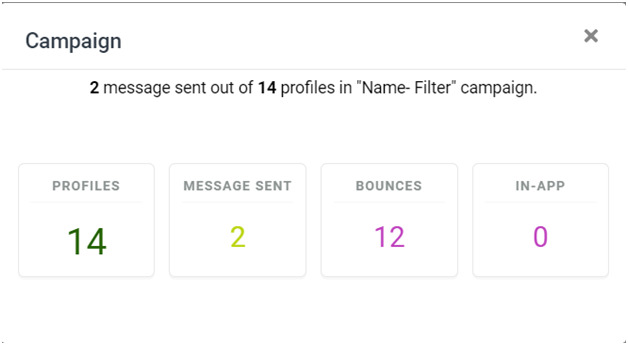 Campaign - Campaign helps you to send a Message to the selected audience or a group which is created with the help of Filter option in the profile section. 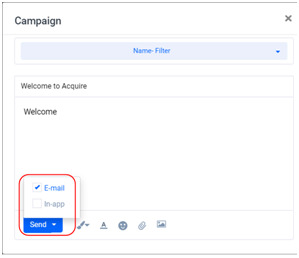 To send any Campaign Click on Campaign from Message group in profile. 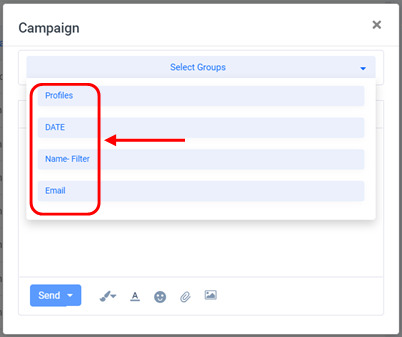 Once you will click on Campaign link, a new Pop-up window will be displayed on the screen as below. 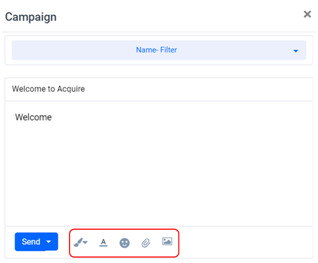 Here, Select Group you are targeting to send a Campaign, and Write a Title and Message which you need to send to the specific group of customers.